Blockchain technology is one of the trendiest technologies to grace the market in the past decade. It has huge potential, significant economic implications, and could revolutionize the future of business. The details surrounding it can be fuzzy to some, but it is likely that your life will become more influenced in the years to come. For many onlookers, this technology came out of nowhere and took the tech world by storm. However, bitcoin and the like didn’t simply appear. They are a result of a decade-long development process since blockchain’s inception in 2008. Read on to learn more about this revolutionary technology’s history. The origination of blockchain technology is somewhat mysterious. One thing that’s for sure: Satoshi Nakamoto became the founding father of the blockchain with the release of a white paper “Bitcoin: A Peer to Peer Electronic Cash System” in 2008. What’s unknown is who Nakamoto really is. Nakamoto’s identity is unknown, and it is uncertain whether the pseudonym is representative of one genius person or a group of dedicated individuals. Regardless of the identity, Nakamoto sought to develop an open, decentralized form of currency that would allow for transactions that were transparent and incorruptible. After years of development, this vision was achieved and the blockchain was born in the form of Bitcoin. Shortly after the whitepaper release, Bitcoin was offered up to the open source community in 2009. Following in the footsteps of their crypto-forefather, numerous other currencies were developed in an attempt to take advantage of the technology. You may have heard of bitcoin alternatives like Ethereum, Ripple, Litecoin, and a few others, but what many don’t know is that there are currently over 1700 cryptocurrencies. In addition to the crypto market, developers started to realize in 2014 that blockchain could be used for more than currencies. Fundamentally, the blockchain is a decentralized ledger that tracks a transaction between two parties without the aid of third-party mediation. Today, numerous blockchain technologies are being developed that could greatly increase the efficiency of transactions in healthcare, transportation, voting, contract management, and more. Blockchain reached the height of its popularity in December 2017 flowing into January 2018. Bitcoin led the charge, climaxing at a value of almost $20,000 per coin. The market has since settled down and corrected itself but still has immense value. The total value of the current crypto market in over $430B, with Bitcoin making up almost $160B of it. Both are projected to grow substantially in 2018. Don’t get left behind by being unaware of the technological developments happening around you. 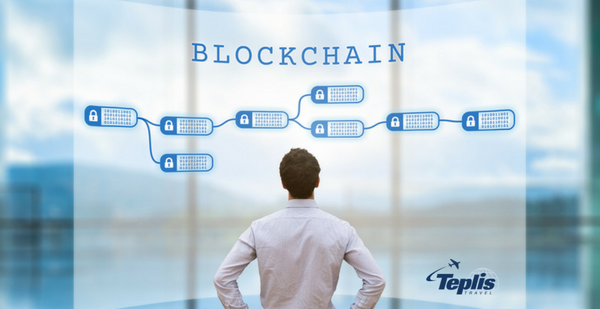 At Teplis, we make it a priority to stay current on technologies like blockchain to ensure that we’re providing the best possible service to our customers. For more information on emerging technologies or any corporate travel needs, contact us today for more info.